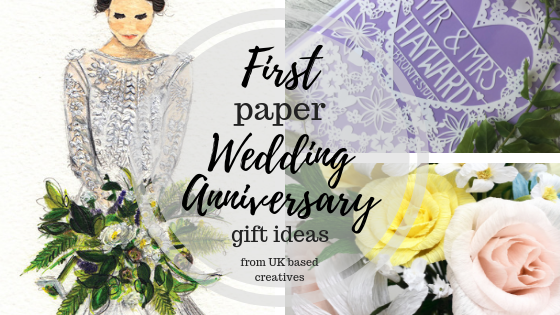 Celebrate the first year of marriage with bespoke and original first paper wedding anniversary gift ideas from these amazing UK based creatives. 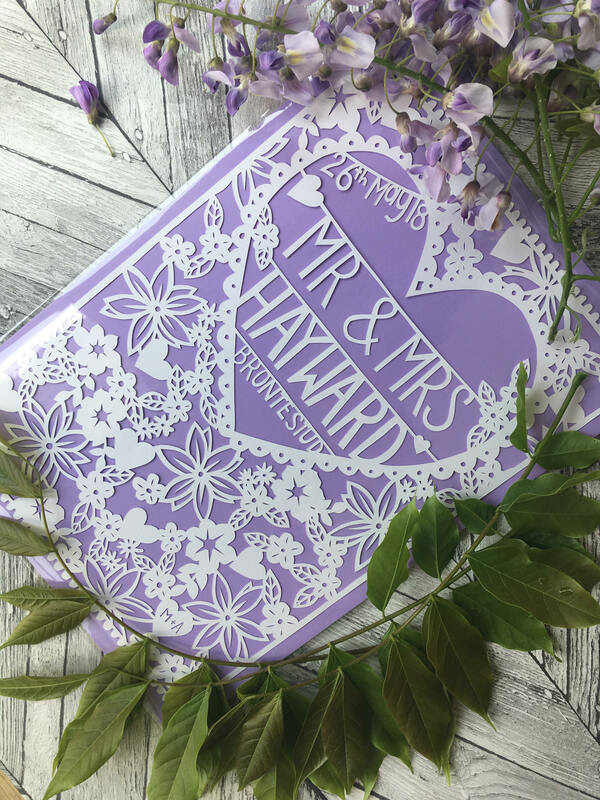 Supporting small independent businesses that will provide you with personalised, handmade and unique anniversary gifts using the theme of paper that you can treasure forever. Becky from Daisies and Paper Chains creates amazing handcrafted paper cuts. 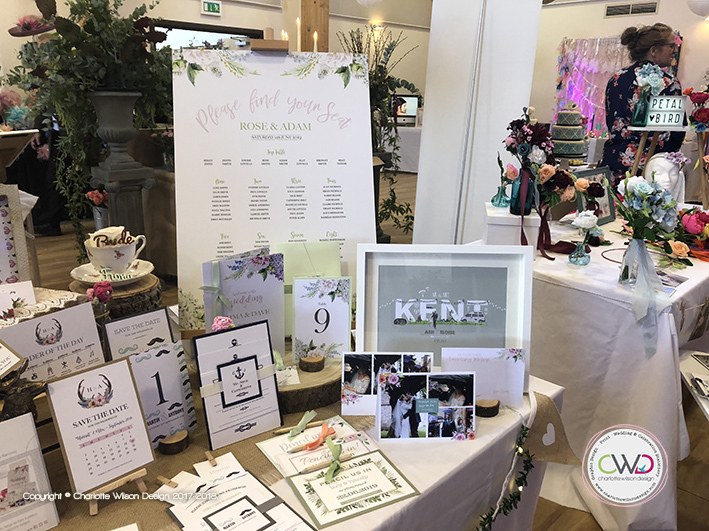 Based in Bishop Waltham in Hampshire Becky designs to your requests and requirements including details from your special day, dates and wording. 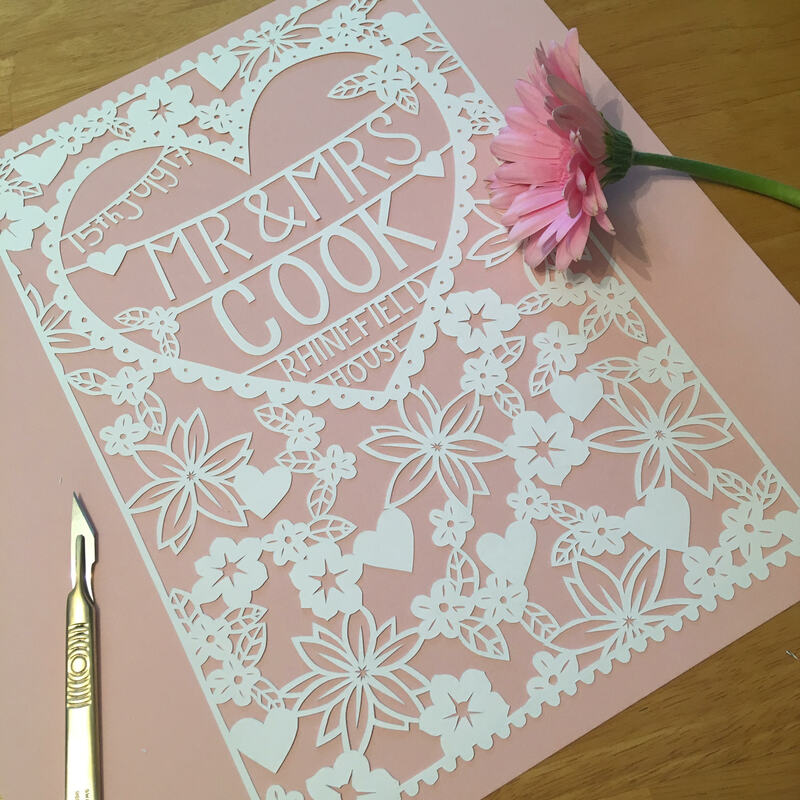 Each paper cut is designed and hand drawn and then carefully hand cut to create a beautiful unique piece of art that look incredible and would be the perfect first paper wedding anniversary gift. 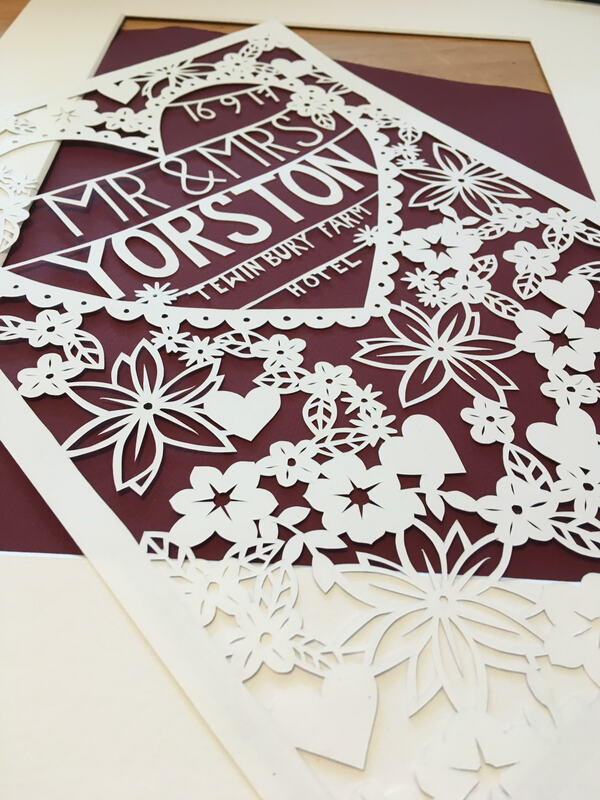 With an Etsy store coming soon, Becky can take your bespoke order through Facebook, Instagram or by emailing her direct for the perfect first paper wedding anniversary gift. 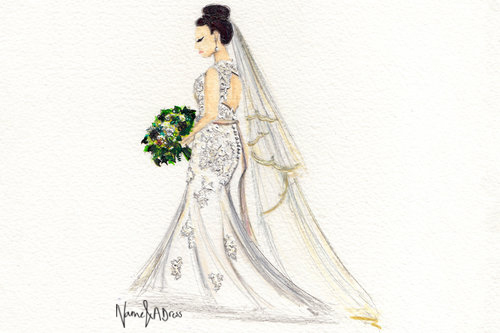 Jennifer at Name and A Dress creates custom bridal illustrations. Creating an original bespoke illustration as a reminder of the beautiful bride on her special day that are completely unique and individual. 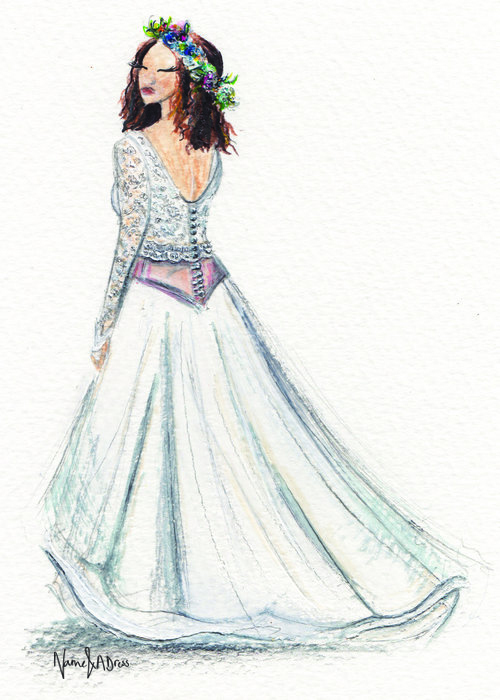 Firstly place your order and send your photos, all you then need to do is wait for the arrival of your beautifully packaged bespoke wedding dress illustration! 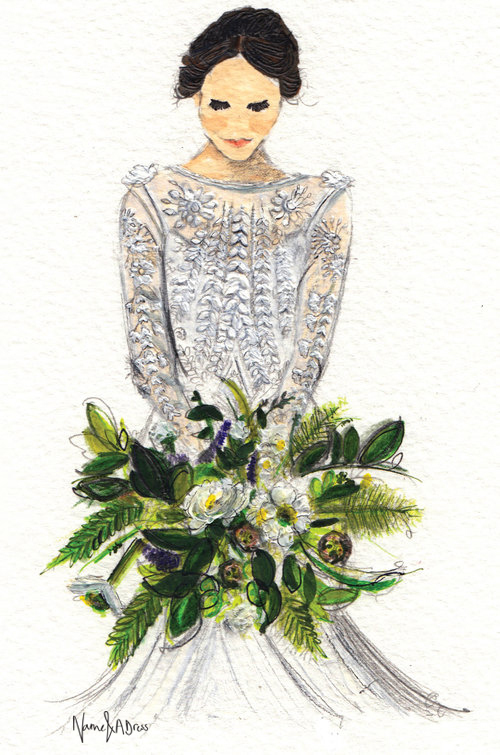 Jennifer also offers live illustration on the wedding day itself and can create bespoke illustrations of all things wedding. So just send an email to jennifer@nameandadress.com with an idea of what you would like created as an illustration and she will go from there! Be it the bouquet, the grooms suit or the much loved confetti shot. 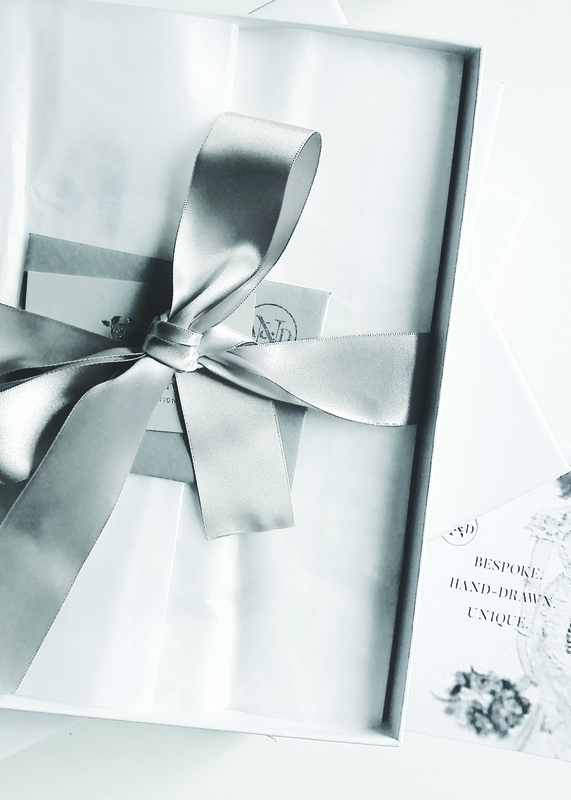 All created on paper – perfect as it is the gift to give to celebrate your first year anniversary, all beautifully packaged and delivered. 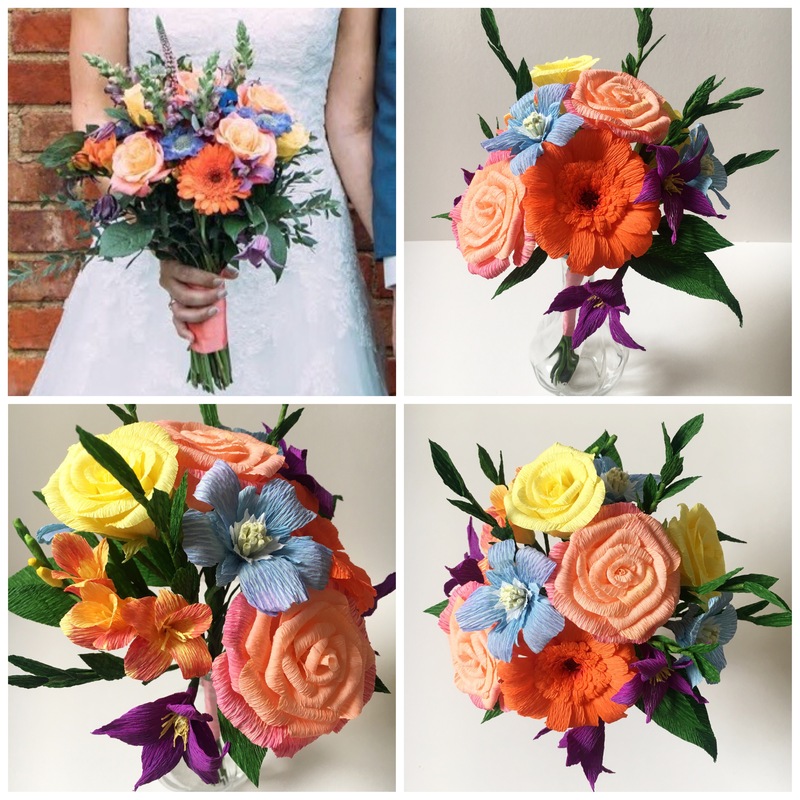 Clare from Petal & Bird is a paper florist who works with high quality crepe papers to create beautifully handcrafted individual flowers which can be made into a range of arrangements, including bouquets, buttonholes and flower crowns. 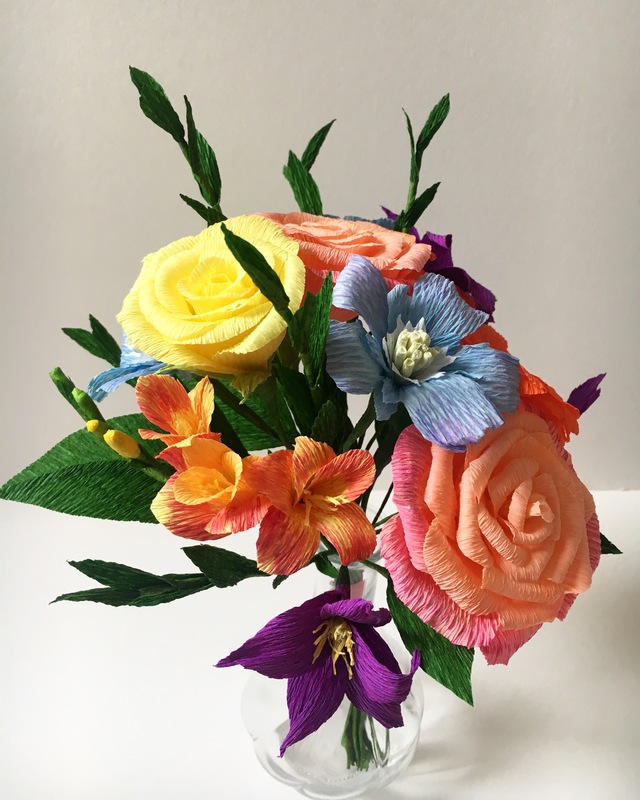 She specialises in Bouquet Recreations where she creates unique paper replicas of bridal bouquets especially for giving as a first paper wedding anniversary gift. Every petal and leaf is cut and formed by hand with great care and attention in her studio in Chichester, West Sussex to create her lasting flowers. Working from your wedding photographs Clare at Petal & Bird will look at all the details, colours and shapes to recreate your bridal bouquet. 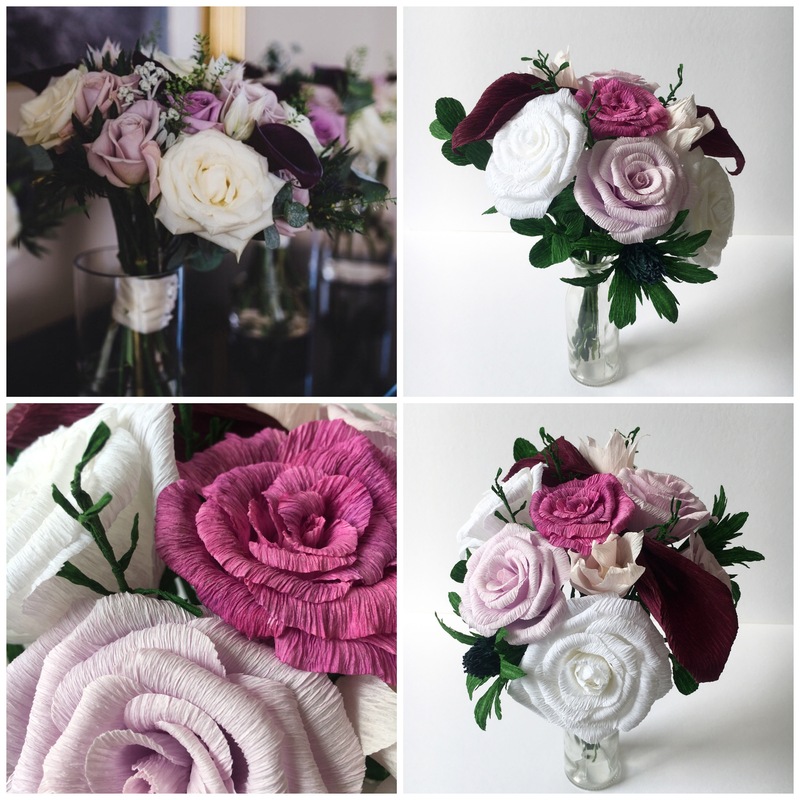 Creating you a lasting paper replica of the wedding flowers that will be forever reminder of the special day and the perfect first paper wedding anniversary gift. This could be a full scale recreation or taking elements from your bouquet creating a something truly bespoke just for you. Ideal as a first paper wedding anniversary gift, wedding present or birthday surprise for the bride. 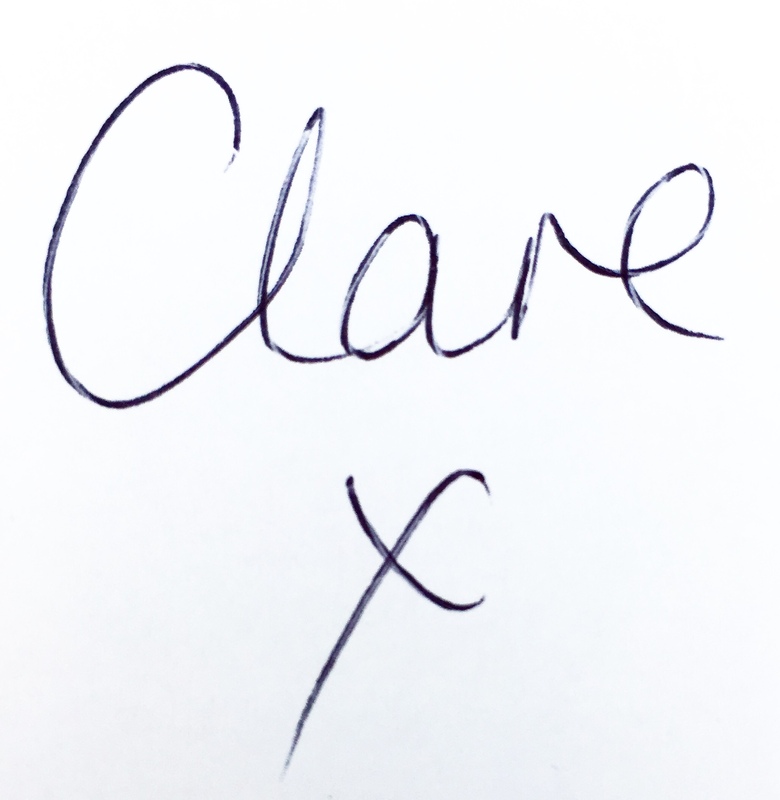 Send Clare an email with images of your bouquet to start discussing your order. 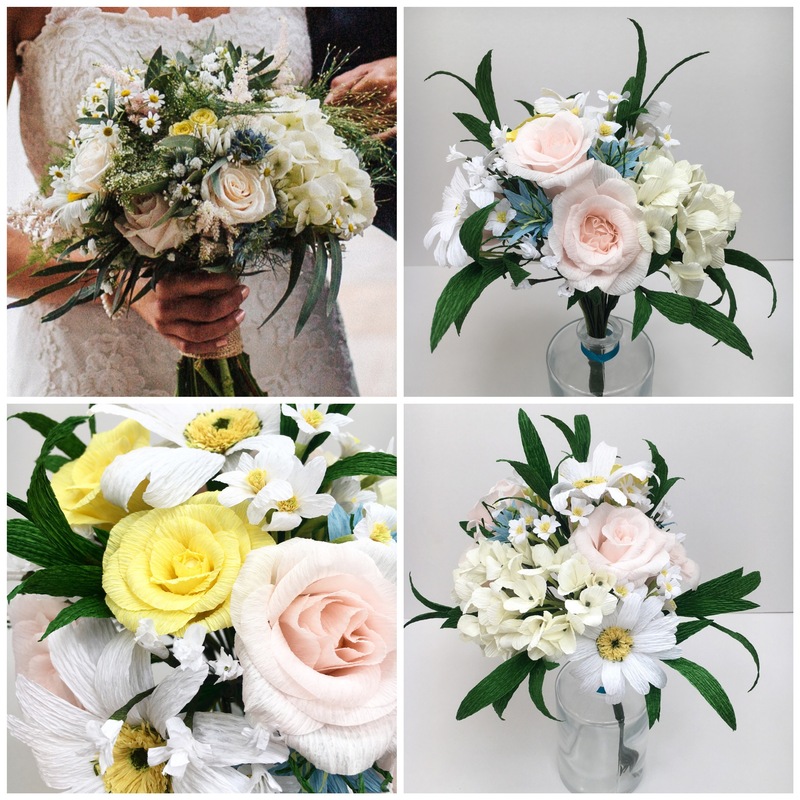 She can create a wide variety of different flowers and foliage to match your real bouquet, carefully arranged, packaged and posted directly to you. The perfect first paper wedding anniversary gift. Charlotte is a Freelance Graphic Designer based in West Sussex by the picturesque South Downs. She thrives on delivering ‘creative concepts’ by producing beautiful graphic design, bespoke personalised stationery and wedding stationery. 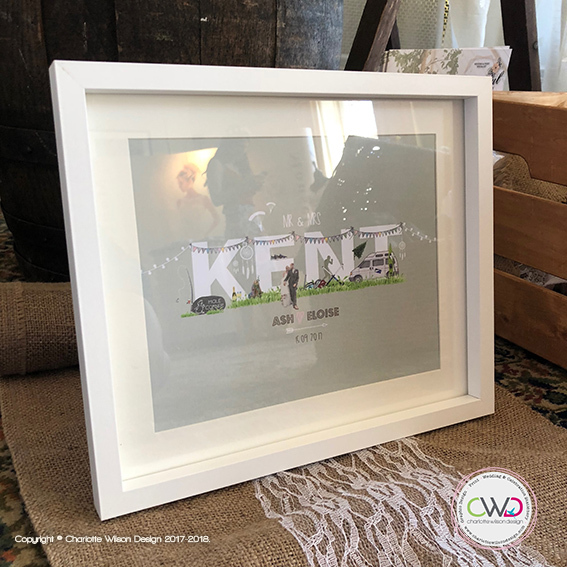 Her new personalised typographic framed illustration range are a perfect gift to celebrate and remember the wedding day, special events and celebrations in your life. She creates personalised typographic illustrations combining images and moments from your special day and about you as a couple. Personalised and unique. Contact Charlotte to begin the design process for your unique print, I’m sure you will find something you’ll love. I hope this has given you some great gift ideas to help you celebrate your first ‘paper’ wedding anniversary and at the same time help you to consider supporting small businesses that can offer you something totally unique, personalised and handmade in the UK.